It’s Hypo Awareness Week—what’s your favourite symptom?! Kidding. Apart from a brief spell of time as a food-obsessed teenager when a hypo gave me the legit excuse to eat half a packet of Lucozade tablets, most of us hate the hypo. From people who’ve found themselves in supermarkets eating handfuls of cereal from boxes (one of our lovely readers), to those nasty little spells where your mind goes blank and gives you a taste of what dementia might be like, most of us would banish hypos from our lives if we could. Most diabetics I’ve spoken to will add in another symptom—we don’t like others telling us we’re hypo. It’s to do with hypos making us irritable, and also because many of us strive to lead independent lives. Someone else noticing you’re unwell before you do undermines that ambition. Please bear with us and try not to mind our irritation. We can’t moan about the symptoms too much, though. Still getting them after decades of diabetes is A. Good. Thing. If you lose the signs that your blood sugar levels have dipped too low, you risk passing out or having a seizure, and ultimately an untreated low blood glucose level can kill. And, whoops—you interrupted me there in the middle of a reverie relating to the things I’d have to help me manage my diabetes if money were no object. The top of the range monitoring and pump therapy tech is obvious while the food and exercise one less so—but activity and an excellent low-carb diet can help you manage your blood glucose levels. Stable blood glucose levels don’t guarantee you riches or the partner of your dreams, but a person who doesn’t ride the blood sugar roller coaster is far more energetic, and free to pursue what they want unhindered by the hell of mood swings. YouTube—otherwise known as the exercise channel in our house. Online, you’ll find tens of thousands of exercise uploads—from yoga to Pilates, barre classes, HIIT workouts and weight-lifting. You could spend several years working your way through them and not do the same workout twice. If you find gyms off-putting or their membership fees too expensive, YouTube’s perfect. Look for workouts that don’t need equipment either. Start with walking workouts (Lesley Sansome’s Walk at Home channel is great). Fitness Blender’s videos are explained well, and the exercises done at a speed you can keep up with. Jessica Smith TV does a huge variety of workouts that offer different fitness benefits, and Heart and Soul Fitness does the same. MyFitnessPal—there are studies that claim food tracking helps you maintain your weight. Food logs are useful for we diabetics too as they allow us to work out how much insulin we need for meals we eat regularly. MyFitnessPal has a huge database, but you can also add your own recipes and the site will give you a full nutritional breakdown of each. MySugr – a free app for logging blood sugar results and additional information such as insulin does, exercise, weight, blood pressure and more. The app is useful, but if you don’t log for a day or so you will struggle to remember all the information you need to input for a complete picture of what is going on. The internet—thanks to the world-wide web, there’s a wealth of information at our fingertips. As a teenager and twenty-something with diabetes, I only knew one or two others with the condition, and we didn’t meet up regularly to swap notes. Now there are forums, websites, charities, blogs, recipes and more online where we can find out more about the ol’ defunct pancreas problem. And finally…drum roll… the NHS! Here in the UK, we folks with type 1 diabetes get free healthcare and prescriptions. I mump and moan occasionally about wanting the latest tech, but I’ve had diabetes for more than 30 years and in that time, I’ve never paid for medications, appointments or equipment. Our fabulous healthcare system has existed 70 years now. It’s shaky on its feet sometimes, but you can’t argue with the wonderful principles at its core—free healthcare for all, based on clinical need. What are your favourite diabetes freebies? And what websites or blogs do you like? Could I live with more thrush? Ladies who live with diabetes, you’ll join me at wincing at this one. No thanks, eh? Who wants to spend their days wishing they were sitting in a bath of calamine lotion? I ask because I filled in a survey last week which asked me if I’d take a tablet to help with my blood sugar control despite initial findings where the control group suffered thrush as a side effect. That wasn’t the only reported side effect—weight loss is another one—but the benefits reported are exciting. The drug is sotagliflozin (marketed as Zynquista), made by Sanofi and Lexicon, and it’s a dual SGLT1 and SGLT2 inhibitor. 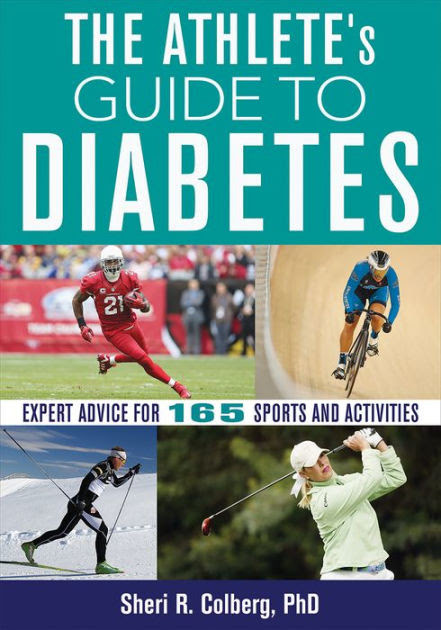 At present, it’s about to be reviewed by the US Food and Drug Administration, as diabetes.co.uk reported. The SGLT1 bit works to delay glucose absorption in the intestines which helps with blood sugar spikes after eating. The SGLT2 inhibitor makes the kidneys better at getting rid of excess sugar in the blood. Zynquista had undergone clinical trials. People who took the drug achieved better HbA1c levels without increasing the risk of severe hypos. But one group of trial participants taking sotagliflozin developed diabetic ketoacidosis, compared to just 0.6 percent taking a placebo. Participants on the trial lost 2.98kg compared to those not taking the drug. Would I take it? Heck, yes, even if it means stockpiling the clotrimazole creams beforehand. All addition help in the blood sugar battle is always welcome. At the end of March, the American Diabetes Association released a report on diabetes’ fiscal impact. Guess what? It’s scarily high. Diabetes is now the costliest chronic condition in the country. Diagnosed diabetes expenses in the US totalled $327 billion in 2017. The data indicates that one of every four healthcare dollars in spent by someone diagnosed with diabetes. And one of every seven is spent directly treating the condition and its complications. The Economics of Diabetes in the US in 2017 kicked off the ADA’s annual call to congress event. More than 150 diabetes advocates meet with members of congress and staff, urging them to make diabetes a national priority. The report showed that the economic costs of diabetes increased 26 percent from 2012 to 2017, thanks to its increased prevalence and the rise in cost per person living with the condition. The costs include $237 billion in direct medical bills and $90 billion in reduced productivity. The largest contributors to the costs of diabetes are higher use of prescribed medications, hospital in-patient services, medications and supplies. These costs are passed on to all Americans thanks to higher medical costs, higher insurance premiums and taxes, reduced earnings, lost productivity, premature mortality, and intangible costs in the form of reduced quality of life. ADA’s chief scientific, medical and mission officer, William Cefalu said: “From our new economics report, it is very clear that diabetes bears a significant impact on our nation, both in its toll on the lives of the millions affected by it, and the economic costs for all.